Following the success of Chinese remakes of Korean films such as A Wedding Invitation and 20 Once Again, film industries in both countries have recently shown interest in co-productions more than ever. In the meanwhile, Korea-China co-production thriller as well as a Chinese remake of the 2011 Korean film of the same title, Blind recently wrapped production. 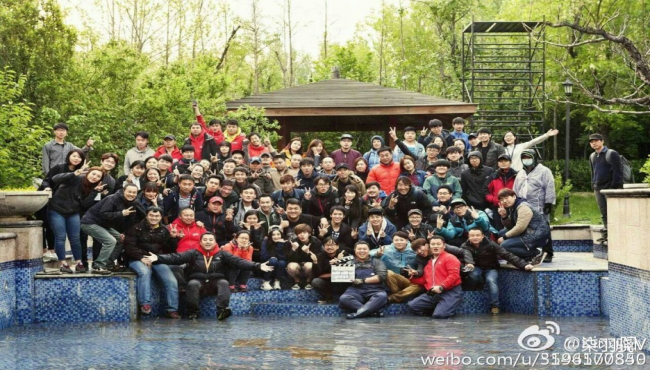 According to lead actor Lu Han's microblog Weibo, the film cranked up as of May 15 and is currently in the post-production phase. Director Ahn Sang-hoon, who also directed the original Korean movie, handled the directorial duties of the Chinese remake. As LU Han took over the role that YOO Seung-ho (The Magician) played in the original film, YANG Mi (Tiny Times Series), one of China's most popular actresses, played the female lead originally played by KIM Ha-neul (My Girlfriend Is an Agent). The story focuses on a "blind" protagonist’s "eyewitness" account to help solve a string of serial murders. KIM received Best Actress honors at the Grand Bell Awards and the Blue Dragon Film Awards for her role as a visually impaired woman in the film. The remake received a $344,400 (KRW 380 million) co-production incentive fund from the Korean Film Council.